From the author of "Models Don t Eat Chocolate Cookies" comes a middle grade novel hailed by Linda Urban as A perfect blend of laugh out loud funny and real-world heart. Elsie Wyatt wants to be an orchestra superstar, like her dad and grandfather. The first step? Get into a super-selective summer music camp. 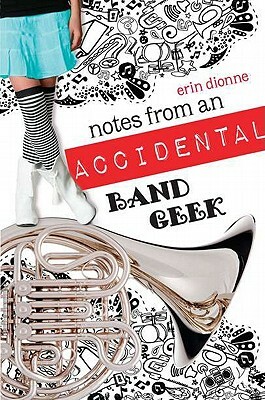 In order to qualify, Elsie must expand her musical horizons by joining her high school's marching band. Not only does this mean wearing a plumed hat and polyester pants, but it also means she can t play her own instrument, can t sit down, and can t seem to say the right thing to "anyone" let alone Jake, the cute trumpet player she meets on the first day. Plus, everything she does seems to cause a disaster. Surviving marching band is going to be "way" harder than Elsie thought. For fans of funny, realistic, every-girl novels like Wendy Mass's "13 Gifts" and Lisa Greenwald's "My Life in Pink & Green." It has humor, heart, and a touch of romance that will provide ample fodder for booktalks. "School Library Journal"